I heard that some people says that this book is “the Sopranos on the moon” and even if I have never seen the show, I think they’re right. This book is set in the near future where the Moon is colonized by humans and own by the LDC, the Lunar Developping Company and where life is ruled by the Four Elementals : water, air, carbon and data. The story follows the Corta family, one of the Five Dragons : the five most powerful families on the Moon. They are known for their wealth and their life are closely watched by all the inhabitants of the planet. The head of the family is Adriana Corta, the founder of Corta Helio, a helium-3 mining company. The book follows her story and the ones of her childrens and grandchildrens. Her family is at a turning point, Adriana is at the edge of death and she had to create a succession to her business. Of course, the succession in itself is going to create rivalries between the different siblings. However the main conflict is with the others Dragons, especially with the Mackensies, another huge mining company. The thing is, on the Moon, the only law is the law of money. Indeed, there is no criminal law, the only things that truly matters are contracts based on money which creates a weird justice system and a very flawed notion of justice. On the Moon, you can settle your problems by a trial by combat, on first blood… or worse. Ian McDonald creates a really libertarian world and shows how humans could adapt in a world without law and where the only power comes from money. And it’s not pretty. The multi generations was very well done because of all the descendants of Adriana (she has five children and three grandchildren) the cast of characters was pretty big, however the story telling was very well balanced. I felt like I knew everyone and why they were the way they were, and for 400 pages book, it is pretty remarkable. Also the family dynamic was really interesting especially all the different conflicts between the siblings. This book was the perfect balance of plot and character development. Another element that I really enjoyed was how the technolgies were integrated to the story, it was not a hard SF book but the science was sufficiently explained so that we could visualized the world and the different technologies. I can’t wait for the second book in this duology. If you like family drama tyes of book and that you are intrigued by the fact that it’s on the Moon, please go grab a copy, you won’t be disappointed ! I received this book from Orion Publishing Group through Netgalley in exchange for an honest review. The Providence of Fire is the second book in the Chronicle of the Unhewn Throne an epic fantasy series written by Brian Staveley. I read the first book, The Emperor’s Blades in february and I loved it. It is one of my favorite book of the year without a doubt. I just read the sequel because I was kind of having a bad period with a lot of stress in my life and in those occasions I usually read a book that I almost know for sure that I am going to love. And oh my, this book was great. It was a little slower than the first one at the beginning but after a third I would say, it became completely awesome. I stayed up pretty late to finish it and the ending blew me away. Now I need the third and final book, but infortunetely for me, The Last Mortal Bond will only be coming out in a little bit more than four months. Yes I know, it’s not that far but it’s still 107 days away. “The circle is closing. The stakes are high. And old truths will live again . 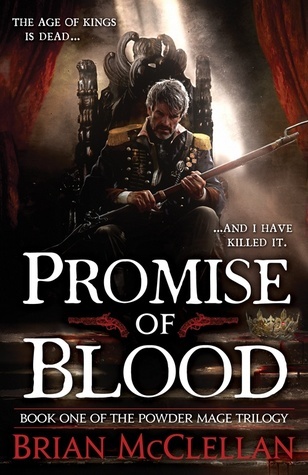 . .
All my thoughts on this book are spoiler free for this series. I really liked the first book because I found that the characterization was great and it was even better in the second book. I think that even if I did not always agreed with some decisions made by the main characters, at least I could always understand why they did it. I enjoyed Kaden’s perspective even more in this one, I think that he has grown as a character and that he is not as naive about the political intrigues going on in his empire. I also enjoy his point of view because he always thinks before doing things even when he is put in really difficult positions and I actually think that it is very rare to find this type of character in fiction, because, usually, characters act before thinking which often lead to bad consequences for everyone. However, even if I really like Kaden, my favorite character in this series is Valyn . I don’t know why but since book 1, I am deeply emotionally attached to this character. At the end, it almost gave me an heart attack but what can you do… I feel that, like Kaden, his character has changed quite a lot since the beginning, and even if he is far from perfect, you can see where his flaws came from. The character that I liked the least definetely was Adare. It may come from the fact that we just had three chapters from her POV in the first book but at the beginning I just did not care for her at all. However after some of her chapters, she started to annoy me. I did not agree with a lot of her decisions, that I, most of the time, found pretty stupid, and that for me, don’t really go well with the fact that she is a Minister of Finance. I found her naive about a lot of things, especially about the way people lived in her country. At the end of the book, I started to understand a little bit better why she was the way she was but I still didn’t like her. I have to say that the ending did not redeem her at all. I am still mad at her for what she did. I think that this was an excellent second book, it’s actually quite rare to read a book two in a trilogy which is as good as the first one but this one was, in my opinion of course, even better ! It did not suffer at all from te “middle book syndrom” which mean that it was not a “filler book” with nothing happening at all. 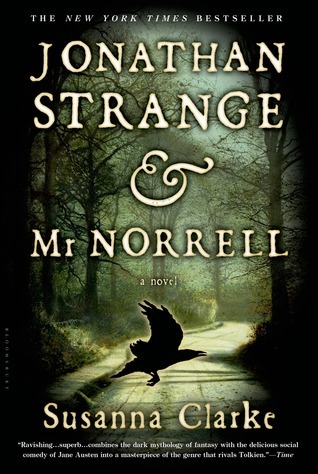 On the contary, this book was full of twists and turns, great worldbuilding and characterization and that ending ! To continue my SF personal marathon, I just finished reading Seveneves by Stephenson. 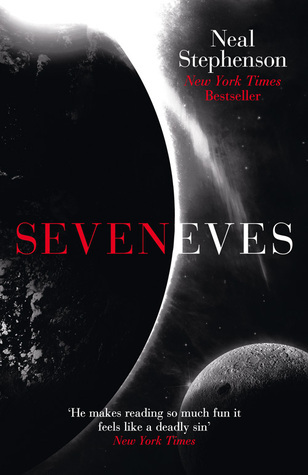 Seveneves follows the consequences of the destruction of the moon by a mysterious Agent and their repercussions on Earth. Indeed, the multitude of rocks created by its destruction are going to ravage the surface of Earth in two years, killing everything on it, including the whole human race. The book also tells the story of the descendants of the human race, 5000 years later where they are going to reclaim Earth. I really liked this book. My favorite aspect probably was the amazing characterization. All of the characters depicted are terribly human : some are likeable, other are so irritating that you want to enter the book to strangle them, but they all have in common the fact that they all think that what they do is for the best and they all have their reasons. I especially adored Dinah, a mining engeener, working in the ISS when the moon blew up. Her relationship with her father was adorable and I never thought a Morse conversation was going to bring me to tears. However, I won’t recommend this to someone who don’t like to read about science because this book is full of very long descriptive paragraph on science concept. I enjoy science and reading about it but I have to say that sometimes I was bored. Especially toward the ending where I wanted to see a little bit more of actions. This book has a peculiar structure, the first two parts are basically about the destruction of the moon and the direct consequences of this like the sending of spaceship full of people on to ward the International Space Station (ISS), the modification of itto be able to sustain a lot more of human life than it was meant for etc… The third part however takes place 5000 years later and we follow the descendant who are now seven distinct race. This part is a lot more speculative since it’s based upon scientific concepts explained in the first parts but imagined as what they could be turned to be in the future. Overall, I enjoyed this book but I didn’t love it. I would recommend to you if you really like hard SF and you don’t mind very long passages on scientific expanation (some passages are 10 pages long by the way, I feel like I should mention it). I will probably pick up other Stephenson books in the future, I am pretty interested by Anathem. Top 5 Wednesdays was created by gingerreadslainey and if you want to know a little bit more about them you can check the Goodreads group here. This week’s topic is about book that we gave up on. It is very rare for me to not finish a book because I don’t think that I can talk about a book if I have not read it unteil the last word, but sometimes and for different reason I just can’t bring myself to do it. the book is awful, really badly written and I just wan’t to throw it in a bin. the book is just boring and I am not enjoying it at all. For me it was just the case of “this book is horrendous”. I hated it. Every pages of it was awful and I am so glad to have DNF it because, oh god, it was terrible. I usually like to read New Adult book but this combined all of the clichés of the genre with horrible writing style into one thing… I think I gave up on it pretty late (somewhere around 70%) and probably should have done it sooner. I received this book from Netgalley and I started it during October and I just couldn’t. It was not quite as bad as Fallen Too Far but it was not well-written and the clichés…. I felt like I had read this story thousands of time before. I’ve heard that the ending was good but I forced myself to continue twice and can’t do it. Also the main character was the dumbest person ever. This book wasn’t bad, it was just boring for me. 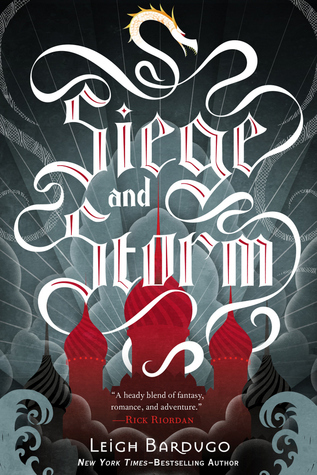 I enjoyed the first book in this series, Shadow and Bone but I did not love it and the second installment was pretty much the same for me. 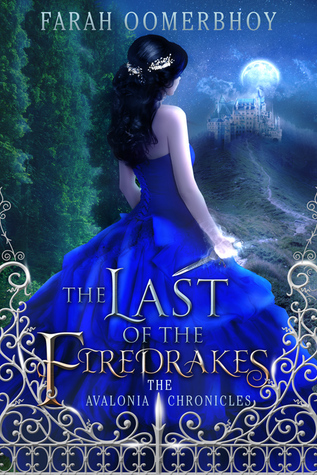 Also I’ve heard mixed things about the last book of the trilogy so I decided to drop it. I might read Six of Crows though, because it sounds pretty interesing ! Here again, the book wasn’t bad but just boring. I think I read the first third of it but I was always thinking about other stuff to do while reading it and I didn’t care at all. The magic system was interesting though. A case of “it’s not you, it’s me”. I enjoyed this at first but then I was bored by some passages and I decided to put this aside. I still feel guilty about this so I think I will probably give it another try because I really enjoyed the tone of it. We shall see. 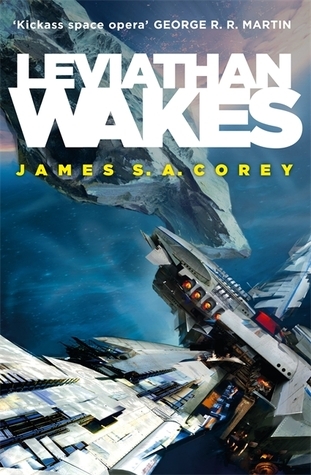 Leviathan Wakes is a science fiction space opera book. It follows two characters : Holden and Miller. The first is the executive officer of an ice miner spaceship and at the beginning of the book, he receives a SOS call from another ship named the Scopuli .While trying to find out what happened to this ship, Holden and his crew stumble upon a secret that could shattered their entire universe. Miller is a detective working on a kidnap job, he has to find the daughter of one of the richest families alive. However his search is going to unravel some unexpected facts and his story and Holden’s are going to cross. After finishing The Martian by Andy Weir, I was in the mood for science fiction (and still am by the way) and since I happened to have this on my TBR shelf, I pick it up. I really enjoyed it, it was a super fun and fast-paced book even if the beginning did drag a tiny bit.